Welcome to my review of the Stretching Smarter Stretching Healthier guide by Dr. Jolie Bookspan. If you were looking for the actual book itself then simply click here to be directed to the actual site otherwise let’s get started. I have been a practicing chiropractor for the last 13 years and during my time I have relentlessly done research on various stretching practices that are easy for patients to adopt. During one of my discussions with my brother Renaldo, he told me about a book that he had come across that he considered to be quite a gem and eye opener. Luckily he had it with him and was willing to trade it if I bought him dinner. When I got home I finally had time to go over it in detail. The book itself is quite small with just 108 pages but do not let its size fool you, it’s packed with tons of useful information. Being a chiropractor, I was initially skeptical and felt quite confident that I knew all there was to know about body stretching so it was quite a surprise when I found out a lot more things than I ever expected, a testament of the author’s prowess in the subject. The book itself is quite fun and easy to read with various illustrations – over 200 drawings – that provide you with step by step guidance to avoiding common mistakes. There are various illustrations for stretching for neck and back pain relief. 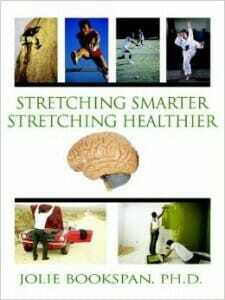 After reading I can confidently say that this book contains all the information you will ever need when it comes to proper stretching practices for the human body. It is a good read for all ages and with a little discipline, will provide you the pain relief you have been seeking. The author Dr. Jolie Bookspan has an extensive background in the subject having attained a distinction as a professor of anatomy and physiology. She has also been a military researcher in extreme physiology which gave her firsthand account on how the body reacts to extremes be it hot, cold, injury, exercise and even weightlessness. Her role was to develop result oriented techniques for training while minimizing injuries personnel. And using all that data she has managed to share a vital part of her findings in this easy to read book. I have adopted some of the stretching exercises with some of my patients and the results have been quite positive with almost immediate pain relief after 2 or 3 days. These have become quite popular especially among those patients that do not get to do much exercise at work due to limited movement opportunities. Stretching exercises illustrated target the key problem areas such as the back, hips, neck and shoulders with amazing results. I would recommend this book to anyone looking to live a healthier life through proper stretching and anyone searching for information about stretching for neck and back pain relief. Has this article been helpful? Please leave your comment below and don’t forget to share with family and friends.